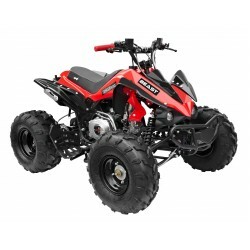 The GMX Beast 125cc Quad Bike is the top of the range 125cc quad bike. 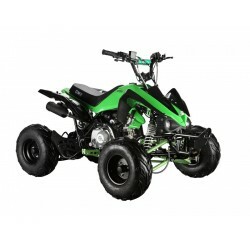 It consists of a high p..
Atomik's ATV & Quad models range from Kids ATV, Mid Size ATV, Race ATV, and Farm ATV with en..
Crossfire Avenger 110cc Sports Quad BikeFEATURES:110cc 4 stroke EFICVT Fully Automatic Transmission ..
Crossfire Territory 500 EPS 500cc Farm ATV Quad BikeFEATURES:EPS Electric Power SteeringElectric Win..
Crossfire 1000GTR 1000cc UTV is a powerful machine with the newly developed 1000cc V-twin engine. 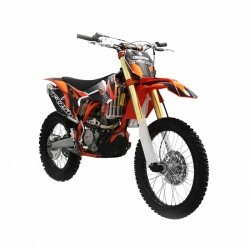 It..
All NEW! 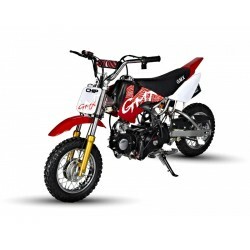 GMX 90cc Dirt Bike with Genuine 90cc SHINERAY High-Performance Engine (4 Speed Auto Clutc..
Fresh drop of the All New Generation 3 CF140 Dirt Bike from Crossfire! 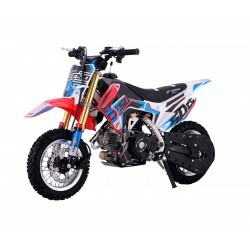 Invade the roads and tr.. 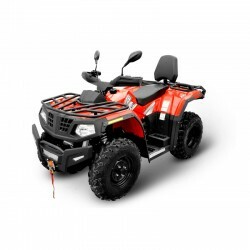 The GMX 125cc Mudder Junior Farm ATV is the entry-level model of the GMX farm quad bike range. 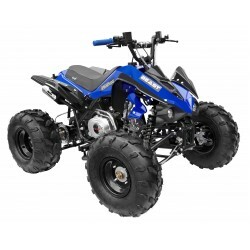 W..
All New GMX 250cc Villain Quad Bike is our new entry to our 250cc Sports Range with a boast of effic..
All new CFR250 brings you a better riding experience with its lighter materials and the distin..
All NEW! 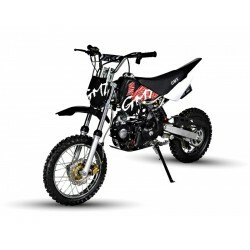 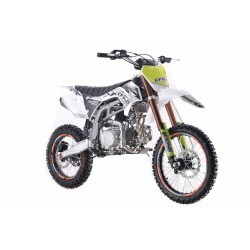 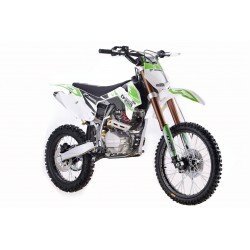 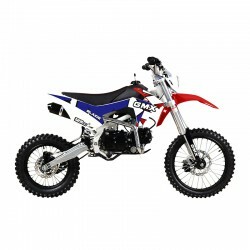 GMX 150cc Big Wheel Dirt Bike with Genuine 150cc SHINERAY High-Performance Engine (4 Sp..
A full selection of pit bikes from Atomik!Originating from the CRF50, hopped up with bling a..
All New GMX Blaide Dirt Bike 125cc is here to start up a sharp ride! 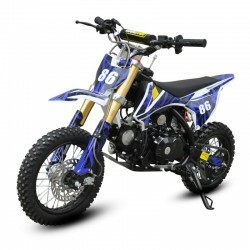 The Blaide Dirt Bike is th.. 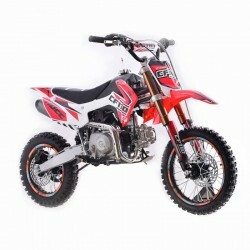 The lightest Crossfire Motorbike that is engineered for the small riders who wants the best of..
Absolute fit, power and quality - these are the essential things you would need in a dirt bike..
A sure-fire hit motorbike for the kids that will heat up their passion for dirt bikes is..
Get on the road with our latest Crossfire CF110 Dirt Bike with new frame design. 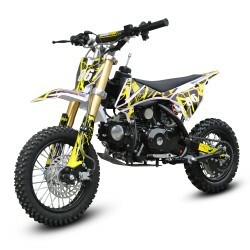 Lighter and f.. 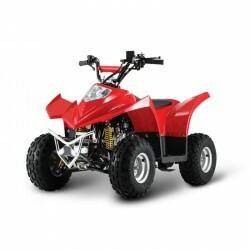 The quad bike fit for small or young riders with electric start fully automatic. 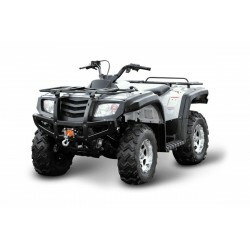 Available in 2 conf..
Crossfire X400 400cc Farm ATV Quad BikeFEATURES:Selectable 4×4EFI 400ccWinch 2500lbTow HitchHD 6 ply..
A robust workhorse that speaks of practicality is our Crossfire 800GT. 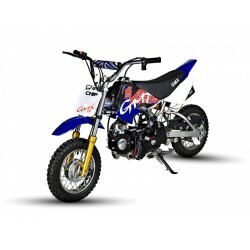 Works like no other, it has D..